Tallpack International offers a wide range of film wrappers. 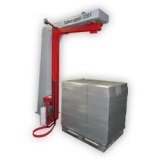 The Tallwrapper series allows customers to package products in the most efficient manner. This ranges from manual wrapping to automatic film wrappers. The specialists at Tallpack International will gladly advise you about which film wrapper is best suited to your specific product. The page featuring manual film wrappers highlights the accessories required for manual wrapping. Turntable wrappers from the Tallwrapper series have been highlighted on the page for turntable wrappers. 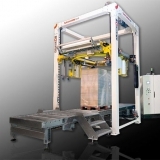 Semi-automatic and automatic Tallwrapper series have been highlighted on the page for arm-based wrappers. 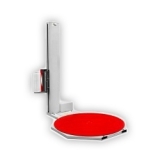 The modular system has been addressed on the page concerning the modular line. The extremely flexible wrapping robots have been described on a separate page. Finally, Tallpack International has highlighted horizontal wrappers for various applications on the page for horizontal wrappers. 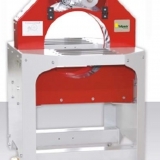 If the intended capacity is very high, Tallpack International's range also features various stretch hood machines. 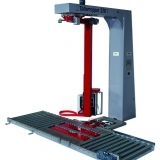 You can see the various options on the page about stretch hood machines.